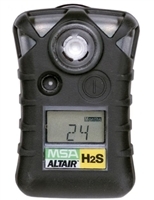 The MSA ALTAIR Single Gas Detector for Hydrogen Sulfide will operate for over two years maintenance free. This long lifespan, coupled with the units high performance, result in one of the most cost effective single-gas detectors on the market. Advanced design offers superior dust and water protection and high resistance to RFI. 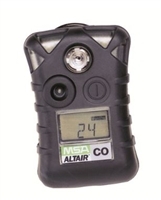 Rubberized housing and one-button operation provide the durability and ease of use users expect from MSA instruments.